Commercial artificial grass company Great Grass has risen to fifth position out of nearly 16 thousand companies in the home and garden category of FreeIndex, an independent listing and ranking website for businesses nationwide. Great Grass’s current ranking was achieved on the back of consistently positive reviews left by our customers on the website in question, praising Great Grass’s commercial artificial grass carpets and the reliable, high-quality installation and maintenance services we provide for them. In addition to this, many of our customers also chose to highlight the high standard of our customer service, both before and after they have ordered their commercial artificial grass, and our availability to travel out to most locations around Greater Manchester and the surrounding areas to carry out measurements and installations. This distinction is highly encouraging for our company, and goes to show that the principles we have ruled ourselves by ever since starting up as a business are definitely paying off. 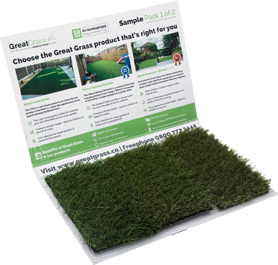 Great Grass was originally created to fill a gap in the market, and provide customers with high-quality commercial artificial grass which was, simultaneously, affordable and easy to install. At the same time, we vowed to give emphasis to the customer service aspect, and we are delighted to have succeeded in the eyes of our customers. Similarly, this prestigious and flattering ranking makes for the perfect motivation to strive for bigger and better heights. Knowing our formula is working, and that we have established a network of satisfied customers ready to stand behind and vouch for us, really gives us the drive to want to do even better, so as to be able to serve said customers to an even higher standard. Hopefully, with the help of our dedicated customer base, we will be able to climb even further up the rankings of sites such as FreeIndex, and establish ourselves as the premier provider of commercial artificial grass in the UK!